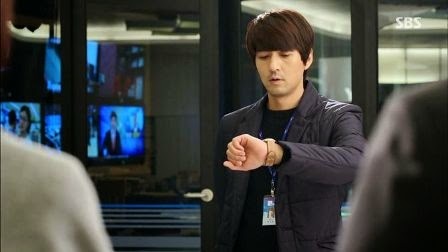 The age (or times) when I feel excited waiting for the next episode of one drama that is still airing is back! 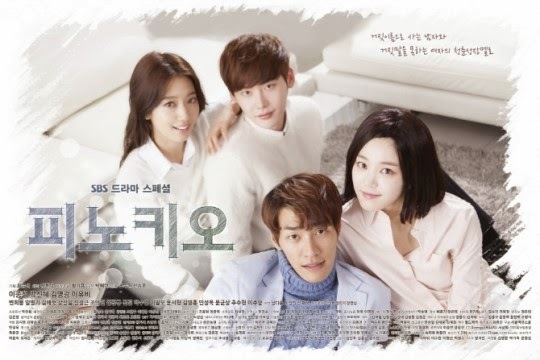 Seriously, Pinocchio is a good drama. I love the plot, the acting and the soundtrack. Though lacks few things, I still considers this one as a must-watch drama. 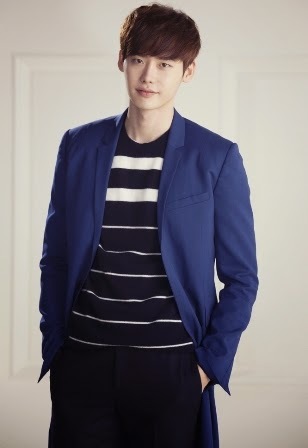 Pinocchio tells a story of young man name Ki Ha Myung (Lee Jong Suk) who changes his name to Choi Dal Po after being adopted by Choi family. 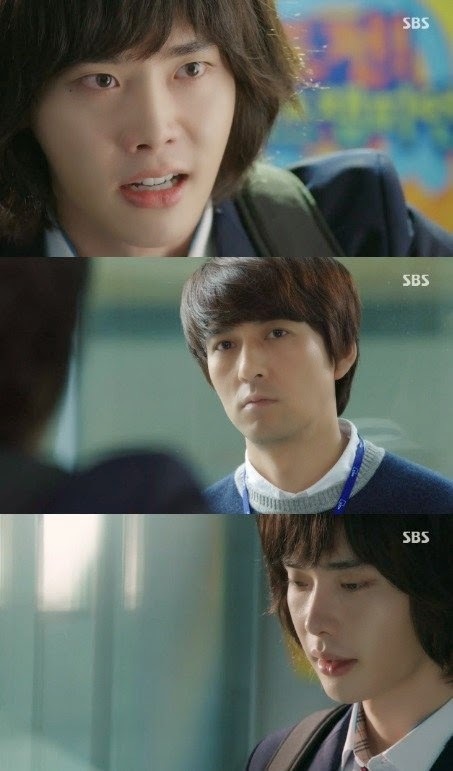 Dal Po lives with his fake niece Choi In Ha (Park Shin Hye) who has a Pinocchio syndrome. While trying to help In Ha achieve her goal to become a reporter, Dal Po gains shocking information about the whereabouts of his father, he then decided to become a reporter, a job that he once really hate and deemed as a job that makes his family torn apart. 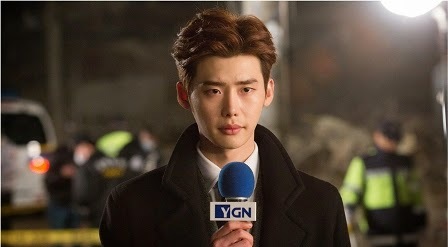 Dal Po want to become a reporter to show the world that his family is innocence of a tragedy that happen few years ago and tells the world that a reporter should report fact only. I saluted Lee Jong Suk for portraying Choi Dal Po perfectly. Once again he proves that his involvement in kdrama land is not only based on his good looks and perfect body. Just like his friend, Kim Woo Bin, this model-turned-actor fella is also can act. There are some scenes of him that really put me in awe. 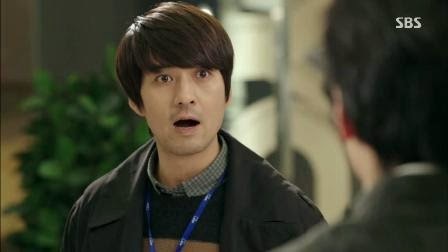 For example is the scene where he stop lift door from closing with his foot and tells Hwang Gyo Dong (Lee Pil Mo) what television meant for him. I literally said to myself that the scene is amazing and Lee Jong Suk is awesome. I don’t think I have to praise her much in here since we already knows that this beautiful lady is an amazing actress. She is versatile and can play any role in any production. Just like what she did in Flower Boys Next Door and The Heirs, she also performed well in this series. Park Shin Hye is reminded me of young Yoon Eun Hye. She can be bubbly and teary at the same time just like what Yoon Eun Hye often showed in her dramas. 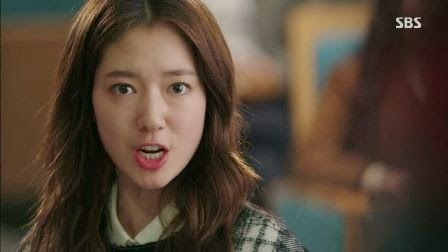 Playing as a girl with Pinocchio syndrome that has a huge passion on becoming a reporter, I think is not too hard for Park Shin Hye. And (by far) she succeeds on portraying her role. Yet unlike Lee Jong Suk elevator scene, I haven’t found her awesomeness point in this series. Hopefully I can find one in upcoming episodes. I hate this woman. It’s true, I really hate her. However, my hate for her means she is portraying her role rightly. 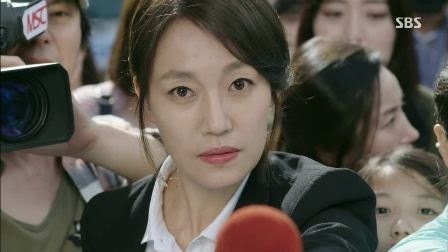 Song Cha Ok (Jin Kyung’s role) is an evil reporter who destroys Ki Ha Myung’s family. She is as cold as an ice chip to everyone, even to her daughter, Choi In Ha. I think Song Cha Ok is the one who has the best acting in this series. I find her acting really surprising since I never once watched her plays an antagonist role. She always looks like a tenderhearted ahjumma to me. I said so due to her role in Nice Guy and It’s Okay That’s Love. Even though I hate her role, I always expecting what’s more from her in this drama. Her awesomeness point for me is when she’s answer to the question, “Are you okay?” by her subordinate after her own daughter crush her in her own seminar. Now, this is what I called a twist. 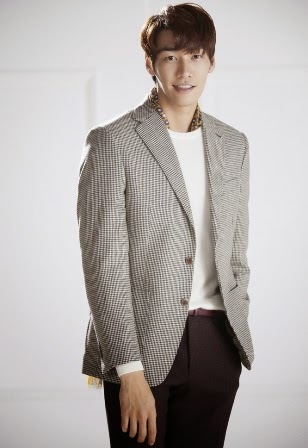 Never expect that Kim Young Kwang will be casted as a spoiled and mama-son chaebol. He came on with a strong figure to me when I watched him for the first time in Hot Young Bloods. I imagine that he will be showered with the role of mafia or cocky chaebol. But no, the production team showers him with the spoiled son role instead. But surprisingly, he can pull that off. This, once again, shows that a model-turned-actor can act. Like Park Shin Hye, I also have yet to found his awesomeness point. Woohoo Chief Gook is back! I’m really excited for him in this drama because I love this guy from Emergency Couple time. However, he didn’t shine as much as what he did in Emergency Couple. His character is a bit bland, I think. And the way he acts is similar to what he showed in Chief Gook role. Though at some point how he colorizes his role with comedy is a bit curing his weak presence. I thought I won’t be jumping deep into this drama since the casts are not my favorite as well as the production crews. But surprisingly I can’t wait for the next episode of this drama now. Maybe it is because of the storyline, which centers in the life of a reporter. I always have a huge admire for reporter and broadcast station or television. I still think that being a reporter or someone who involves in television production (or any production in media) is the best job ever. This drama reminds me of the time when I still work in TV station and makes me miss that old time. It also gives me a scoop of what it is like to be work in news department of broadcast station in Korea. It seems fun and exciting. The love story of Choi Dal Po and Choi In Ha also not that common. I mean, I think I never found a love story between an uncle and his “fake” niece in a drama before. How they grew up together and how Dal Po always rooting for In Ha despite his hatred for In Ha’s mother is as sweet as a cotton candy. On the other hand, In Ha’s unexpected feeling for her uncle also intriguing. How Dal Po and In Ha confess their feelings to each other and unite in the early episode of this drama also refreshing. As a kdrama enthusiast I usually find the female and male lead unites only when the drama is almost end. So, the love story of this two love birds is uplifting. I always was having a good time seeing lead female and lead male couple dating in a drama. How they act cute to each other and supporting each other in the sweetest way are few of my favorite things to watch in a TV production. Those scenes usually only happens for short time in a typical romantic drama series. The soundtrack is also excellent. I never thought that Tiger JK will sing a song for drama soundtrack. First Love by him feat Punch is my favorite soundtrack so far. From what I read in Soompi, the king of ballad, K.Will, also happen to lend his beautiful voice in this drama soundtrack. I haven’t heard it yet. But my feeling tells me that I would love his song, like I always do before. So, I think this drama soundtrack will be getting more interesting. The love gestures. This teeny tiny detail from a drama is one that always makes my heart flutters. I think we’re all agree for saying that the toast kiss is one love gesture that will make people forever remembering this drama. Well done, scriptwriter-nim for giving us, a kdrama enthusiast such a lovely gesture of love. I never knew that eating a toast can lead to this amazing moment. 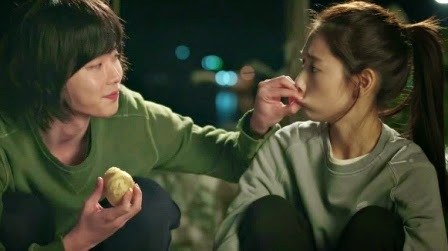 Another lovey-dovey gesture is the first kiss of Choi In Ha & Choi Dal Po. Aside from the unexpected and wonderful place – yes people, these fancy faces are kissing at the center of the road, under an amazing tree, and in a cold night of Seoul – how Dal Po and In Ha starts to kiss is also lovable. Choi Dal Po’s ways of refusing In Ha’s refusal and kiss her instead makes me go weeeee. I’m waiting for more of this lovely love gestures. Please, give us the (other) good one scriptwriter-nim. Nonetheless, like other drama, this one also has goods and flaws. There are few things that I don’t like from this drama. First one is the fact that there is no second-female-lead-love-line-with-male-lead. This (the love line between second female lead and male lead) is something that happens quite often in a drama. Yes, I know we want something refreshing and untypical. But without this, I still feel that something is missing. This drama has a love line between female lead and second male lead. So how come there is none between the male lead and second female lead or any female role. I want the female lead to feel jealous toward his man’s other admirer. So far, Lee Yoo Bi’s role is not too interesting. She is only the coworker of Dal Po, not more. 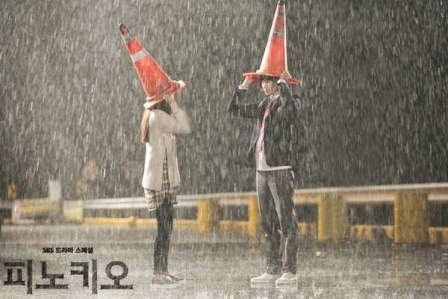 Hwang Gyo Dong or Cap’s love interest is another thing this drama lacks. Look at this handsome ahjussi. He deserves a love interest. The love story of his and some lucky girl will definitely rule out his bland role. Well, there you go. So far, this is my [at a glance] review from the series. Hopefully I can write more review of this drama after it ends. TEMPORARY SCORE: 8 out of 10.